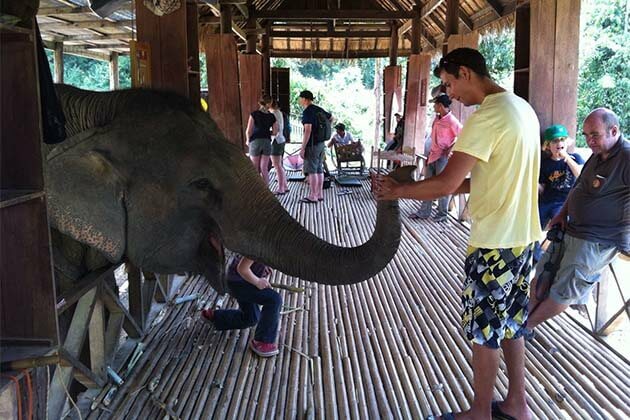 Whenever you visit Laos, it has become a habit to be overwhelmed by Laos’ natural beauty. They can be those high peaks and mountains in Laos or large and long Mekong River. 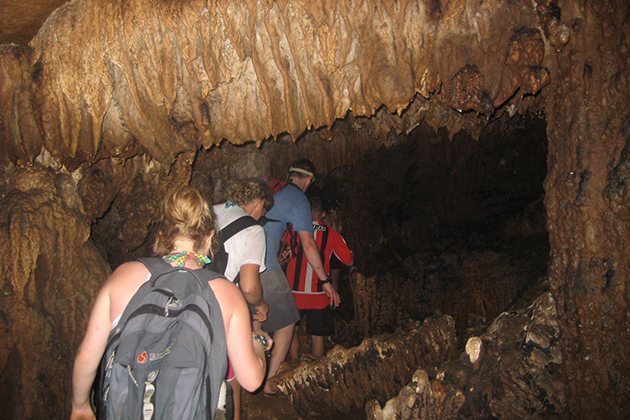 Especially, you will have a chance to encounter many caves in Laos and each of them has its own unique beauty. For adventurers, here is a great opportunity to enjoy the gift from heaven and get away from touristy. Located in Khammouane Province, Laos, Kong Kor Cave is a karst limestone cave in Phu Hin Bun National Park. This cave is easy to access since its location is near Pakse, Champassak Province. 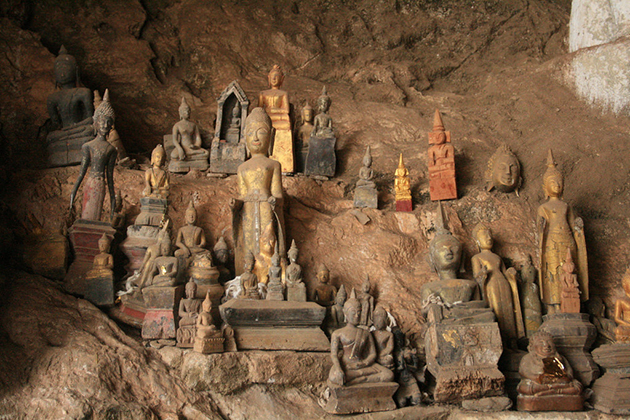 It would be better if you can visit Kong Lor Cave during your stay in Pakse. The special thing about this cave is about its structure. There is a 7-kilometer long river, Nam Hin Bun River flowing through it, therefore, you can use a canoe to visit and take a look at the karst limestone inside. As soon as you get inside the cave, you will immediately feel a different atmosphere: a feeling of water spraying with incredible immerse chambers. You are provided with a life jacket and a head porch in order to see the scenery inside clearly. Deep inside the cave, there is a glowing pool which locals believe it is sacred since it reflects the skin color of one Hindu God, Indra. 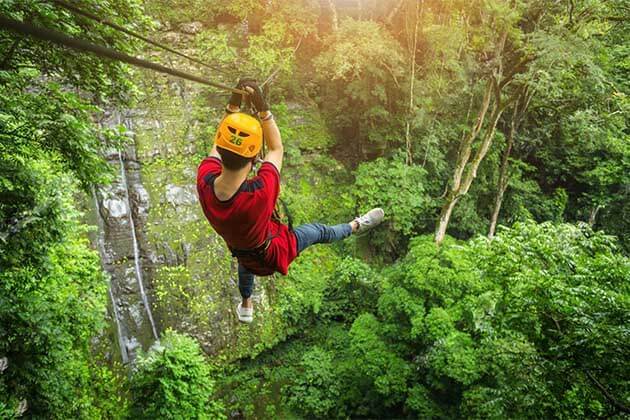 Vang Vieng has always been known as the dreamland of hiking, trekking, climbing, swimming, tubbing; there are so many natural sites gathering around this area. 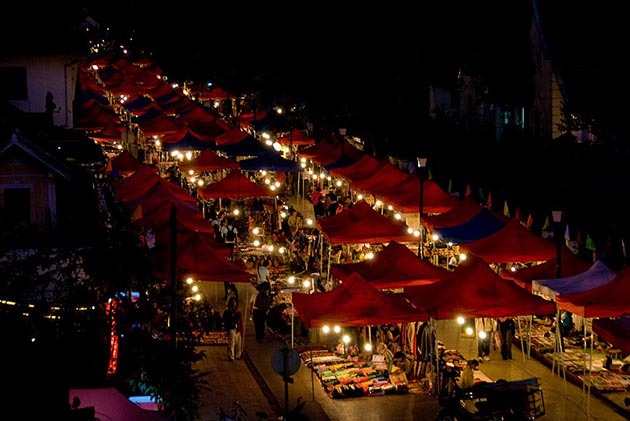 Among that list, Tham Nam is the highlight which sparkles the most. The name “Nam Tham” means Water Cave and this cave is just only about 500 meters in length but there is a lot of fun. It starts from Nam Song’s tributary to the low entrance. 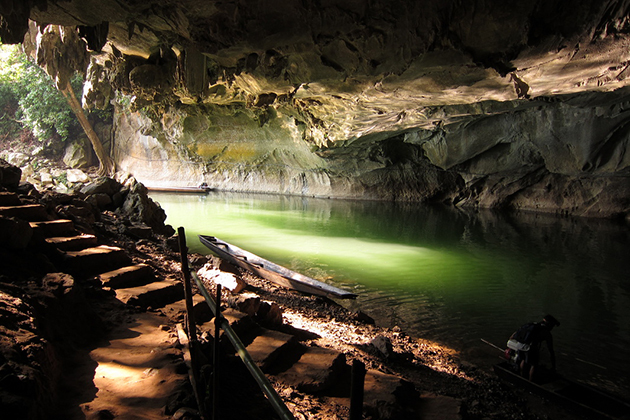 In the wet season, when the water level rises high, visitors are able to do tubing inside and drag along a guide rope to get in and get out of the cave. With a headlamp, you can see the beauty of the cave while enjoy a lot of fun. In contrast, in the dry season, you are able to wade into the cave and maybe a small water fight will be great! 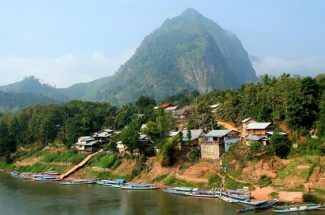 It might be unfair for other places in Laos that Vang Vieng has been given so many natural beauty sites from God’s gift. We already have had Tham Nam Cave (Water Cave) and now here is Tham Phu Kham Cave in the northeast of Ban Na Thong Village. From the entrance of Tham Phu Kham Cave, the road is quite steep and rocky. Now, it requires you hiking for about 200 meters; therefore, you should bring a pair of hiking sandals which brings you comfort during the trip. 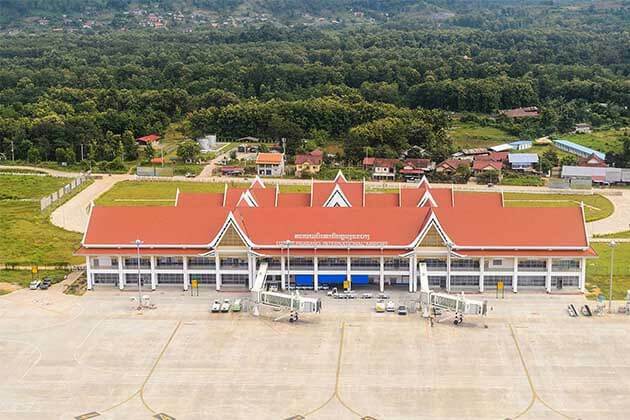 Passing the entrance, you will encounter a reclining Buddha statue (as usual, we see the Buddha statue everywhere in Laos where Buddhism is widely spread). The statue is shining under sunlight coming from the opened hole on top. It is a daily routine for Buddhist local to come here and burn incense stick in order to pay respect for their Buddha. As you go deeper into the cave, the darker it becomes, it had better bring along a head torch and suitable shoes since your hands will be brace against the rock to move your body. Deep down in the cave, you will realize yourself is so small in the breathtaking natural scenery. Located in Luang Prabang, the most famous city for tourism, Pak Ou Caves is the most popular cave in Laos with the tourist. Location and Buddha statue are what makes Pak Ou outstanding from the other. Lying on the west side of Mekong River, Pak Ou has been over thousand years old and consists of two main caves: Tham Ting (lower cave) and Tham Theung (upper cave). Tham Ting is the main attraction with a few signs explaining the meaning of some Buddha statue and a prayer altar inside, while Tham Theung is darker, full of Buddha statues and images in different size and shape. These statues have existed here for thousand years because every pilgrim will put a Buddha statue with an aim to remark their successful and difficult journey to the cave. 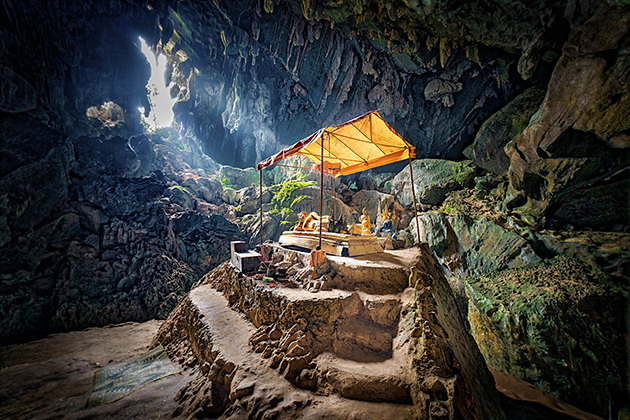 Sometimes, there are people who said Pak Ou Caves are too touristy and there is not many things to see, but it also depends on your mean of transportation. 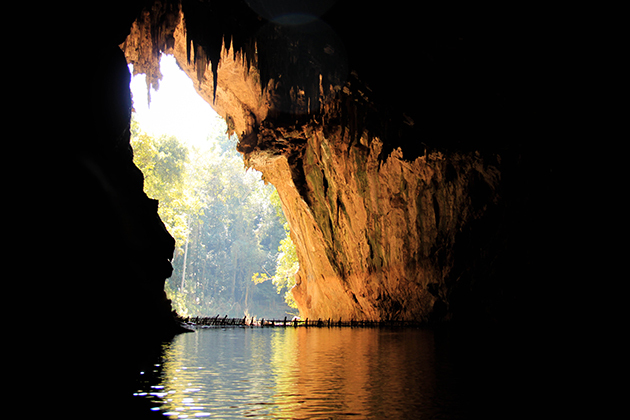 There are two methods to reach Pak Ou Cave: by tuk-tuk or by boat. 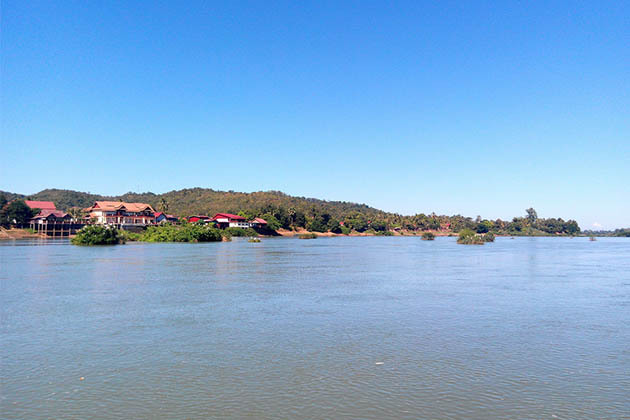 If you choose boating, your trip will definitely come to another level of satisfaction with unique scenery along two sides of Mekong River. These two caves are not as widely known as the other from the list, but it is perfect for who wants to explore the truly natural beauty with little artificial decoration. Everything is in the most primitive way. Moreover, Tham Loup and Tham Hoi Caves have been the safe basement for local during Vietnam War. After taking a descending wooden ladder, a giant and impress untouched cavern, which is called Tham Loup, appears right before your eyes. Tham Loup is noticed for its beautiful and precious stalactites as an art of nature’s creation. Nearby, there is Tham Hoi Cave (Snail Caves), which is named after the shape of formation at the entrance (it looks like a snail). This one is darker, larger than the other and undeveloped. Being used as a shelter for local during American bombing, there is a Buddha Statue which will protect the whole cave. The structure of the cave looks like a long, thin tunnel. It is wiser to have a guide going with you and explain everything.